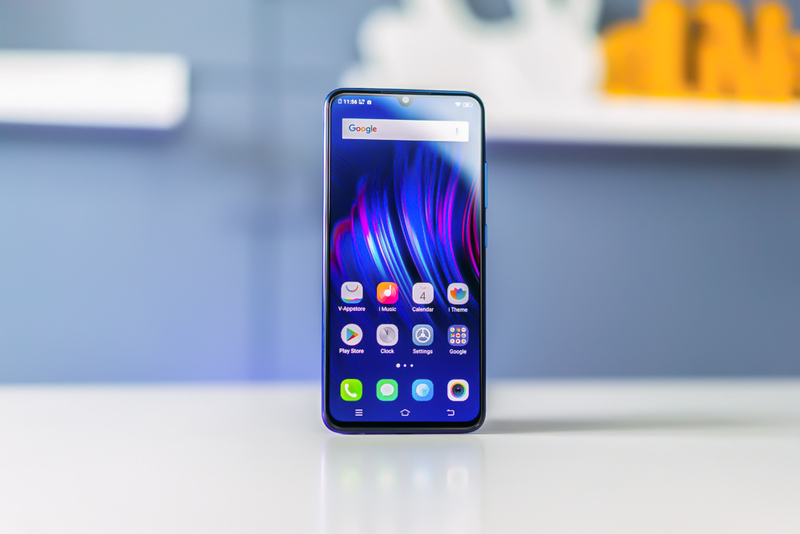 The Vivo Y17 phone features a 6.35-inch (16.13 cm) display with a screen resolution of 720 x 1560 pixels and runs on the Android v9.0 (Pie) operating system. The device uses an Octa-core, 2.3 GHz, and the Cortex A53 processor is paired with 4 GB of RAM. In terms of battery, it has 5000 mAh. In this regard, for the rear camera, this phone has a 13MP + 8MP + 2 million pixel camera. Other sensors include light sensors, proximity sensors, accelerometers, does it have a fingerprint sensor? Yes, it does. For graphics performance that keeps the game running smoothly, the phone is equipped with a PowerVR GE8320 GPU. The onboard storage capacity is 128 GB and the optional expansion memory is up to 256 GB.